This is the kind of breakfast I make for when I’m running out the door, usually on a weekday morning when I’m rushing to clinic to see clients. It takes two minutes to make and is full of nutritional omegas and healthy fats. I always emphasise how important it is to include some protein with breakfast, for energy and balance throughout the day. 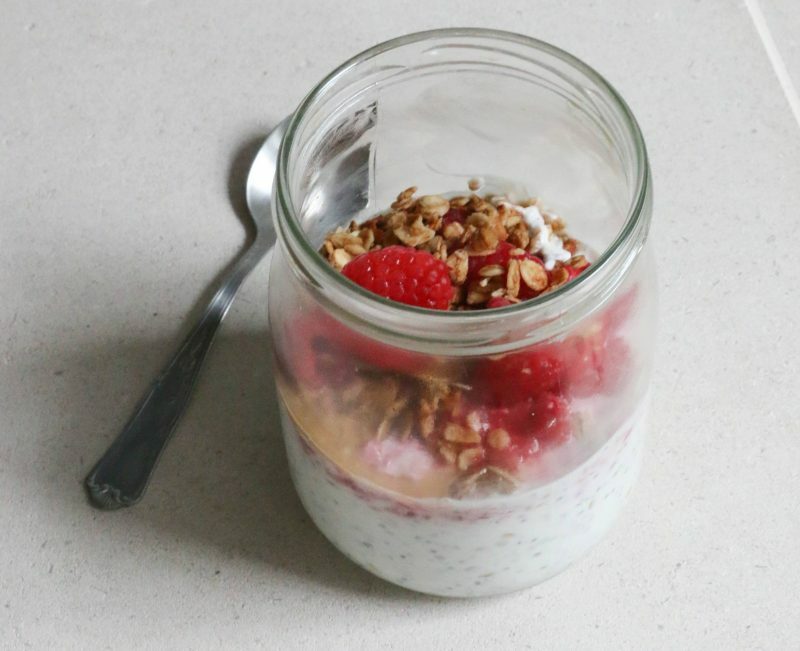 There is protein from the yoghurt, nuts and seeds but there’s no harm in adding an extra dollop of nut butter which also gives a good creamy taste. 200ml plain yoghurt, you could use dairy or non-dairy yoghurt depending on preference. Fresh fruit, granola, buckwheat, nut butter etc.